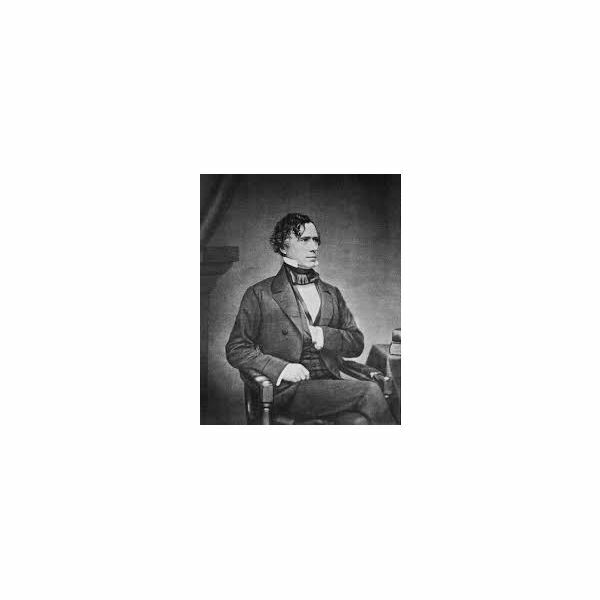 To what party did Franklin Pierce belong? What state was Pierce from? How many terms did Pierce serve? What happened to his three children? What did Pierce do to excess? Who died six weeks after Pierce’s inauguration? What would the Kansas-Nebraska Act do? Did Pierce support the Kansas-Nebraska Act? Who spoke out against the Kansas-Nebraska Act? Did Pierce run for a second term?